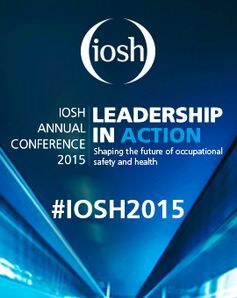 Sharing thoughts and ideas on the ‘New View’ of workplace safety at the IOSH Annual Conference in London this week. The main hall was packed with delegates to listen to Andrew’s paper on Leadership and the Performance Paradox. The session was high interactive and many delegates won copies of From Accidents to Zero during the presentation. After delivering the paper we enjoyed some fantastic discussion with a group of delegates around the dogged pursuit of ‘zero injuries’ that many organisations seem to have, and some great ideas about how to make the mindset shift to ‘create safety‘ rather than focus only on preventing accidents.